Over the past week, we have assessed three cigars from CAO’s Last Stick Standing competition. The Last Stick Standing series is a collection of three distinct blends packaged in a special tin. Consumers can receive this tin if they purchase six CAO cigars from a brick and mortar retailer. The competition aspect is that after smoking each cigar, consumers can log on to a special web-site to provide their scores and input on their experience with the cigar. While we have provided assessments on each of the blends, we have not announced our recommendation for what the final selection should be. Yes, we scored the cigars, but the scores were all very close. In the end, there are some intangibles that should be considered as well. In this recap, we will do some side by side comparisons and then make a final recommendation. As mentioned, each tin contains three distinct blends – appropriately named C, A, and O. Each of the blends all are in the same vitola – a 5 x 54 cigar (that I refer to as a Super Robusto). During our assessments of the three blends, only one smoke for each blend was used. No information on the blend profiles has been made available at this time. Each blend could not have been more different from one another – thus making the choice even hard to determine what the Last Stick Standing should be. This exercise is going to be done a little differently as we are recommending a blend to go forward. For the purposes of this exercise, the categories are different than for our traditional assessments. In each of these categories we list the blend and provide some commentary. You can click on the links to see the detailed assessments we provided. Our objective with this category is to see which blend can have the widest appeal to cigar enthusiasts. Flavor, strength and body play a role with this category. While there is some overlap with the flavor profile, this is not to determine the best tasting cigar, but its appeal. 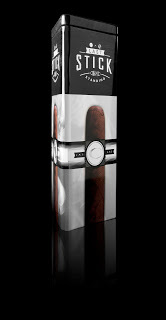 C: Our perception is that this cigar had a classic medium to full strength, medium to full bodied profile. 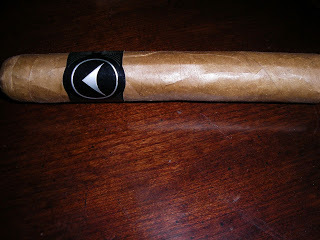 Overall, it can appeal to experienced cigar enthusiasts, and can be a nice cigar for novice enthusiasts to give a try. It has a combination of old school notes (natural tobacco) and modern notes (caramel and chocolate). A: This cigar is not going to be strong on nicotine. It starts out mild to medium in strength, and does progress to medium. The depth of the flavor notes are medium to full throughout the smoking experience. While this can appeal to novice and experienced cigar enthusiasts, it is our opinion that the flavor profile has a “Dominican” feel to it (even though we know no details of the blend) and is best positioned for those who enjoy that profile. O: This was the blend that was most full in terms of both its strength and its body. It has a modern flavor profile in terms of chocolate, espresso, cherry, and baker’s spice. The fact that the “A” has a more limited flavor profile and starts out on the milder side, it makes this more of a niche smoke among seasoned cigar enthusiasts. I would also put the “O” in this category as it is focused around the full strength, full-bodied smokers. The “C” gets the nod here because it can appeal to both novice and experienced enthusiasts, and provides a nice mix of old school and modern flavors. In this category, we look at how much we enjoyed the flavors each of the three blends. C: Under the positioning section, we mentioned the primary notes as a mix of old school and modern. The modern notes of caramel and chocolate are nice, but it is the old school flavor of the natural tobacco that puts its signature on the “C” blend. While there was both spice and sweetness on the finish, the “C” actually finished more on the sweeter end. A: The flavor profile of the “A” consists of wood, grass, pepper, cream, nut, and natural tobacco. The natural tobacco emerges later on and is not nearly the differentiator in this blend like it was in the “C” blend. While we’ll emphasize we don’t know the blend details, it does a flavor profile which gives it a feel for Dominican. The finish to this cigar was very smooth. O: We mentioned that the “O” has a flavor profile of chocolate, espresso, cherry, and baker’s spice. The flavors are deep and robust with this particular blend. The second half of this cigar sees an increase in spice and the finish was on the harsher side. I felt the “O” had the deepest flavors. 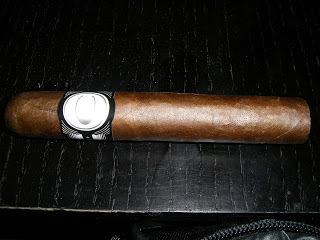 I wasn’t thrilled with the harsher finish, but the flavors were awesome for most of the cigar experience. I gave the “O” the nod here. This category looks how well the cigar is made, and how the burn and draw were. For each Last Stick Standing, you can see this was a quality roll with no negatives to report. There were some differences when it came to burn and draw. C: The draw was effortless, making this an enjoyable smoke. The burn required several touch-ups to keep a straight burn line. The burn rate and burn temperature were ideal. I did get one incident where the burn tunneled, but was able to quickly adjust for it. The resulting ash was more salt and pepper-like as opposed to white. Overall, a good burn but falls short of excellent. A: This had a razor-sharp burn from start to finish requiring few touch-ups. The burn temperature was ideal. As for the burn rate, it was a little fast, but had no adverse effects. 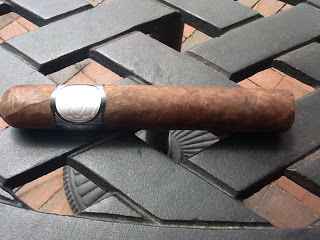 The draw was outstanding – making a very enjoyable smoking experience for the “A”. O: This one was a little more problematic than the other finalists in the Last Stick Standing competition. As I pointed out, the smokes were based on a single cigar, so this could very well have been an isolated case. While I normally like a draw with a little resistance, I found that the “O” had a tighter draw than I prefer. As for the burn, this is what caused the most trouble. The burn just would not stay even for me. There was also a time that the cigar started to tunnel. I’ll infer that these burn issues led to the harsher finish on the “O”. As for the three finalists, the “A” dominated this category. While it is possible for the “C” and “O” to score better with another smoke, I’m also confident the “A” would continue to lead this category on a second smoke. There was something intangible about the construction of the “A” and that helped also lead me to the conclusion that this was the best. In the end, while scores aren’t everything, they still play a role in providing an overall assessment. We will look at two sets of scores. The first is from the Last Stick Standing web-site. The site provides four categories: 1) Flavor; 2) Body; 3) Construction; 4) Overall Experience. You rate each cigar on these categories from 1 to 10. Below is how our scores came out using the Last Stick Standing methodology. The average scores from the Last Cigar Standing web-site are also listed. It is important to know the averages have changed since the original assessments were posted. We felt good that our scores were all pretty close to what the average was. It appeared that flavor played a key role in the scoring system here. In the end, the “C” still got the nod with what we submitted. With the Cigar Coop scoring system, we felt things like burn and draw issues were held more accountable here. We also include attributes around complexity, finish, age, and intangibles. Our scoring system also uses a more traditional 100 point system. The “C” and the “A” had identical scores, but got there differently. I would say I would give the “C” an edge on flavor, and the “A” an edge on construction and finish. As mentioned above, in the case of the Cigar Coop scoring system, burn issues were held a little more accountable. This hurt the “O” in our scoring system as despite having the best flavor, it scored the lowest. In the end, the “C” gets the nod here. It came out on top on one scoring system and tied for the top spot on the other. First of all, I was very pleased with all three finalists of the CAO Last Stick Standing. The nice thing is when we talked about positioning above – each of these three blends can have its own place in the cigar market. I’d be happy if any or all three were released. In the end, our selection for the Last Stick Standing selected here is the “C” blend. Not only did it place at the top of the scores, it also has the potential to have the widest appeal to cigar enthusiasts. If it makes you feel better, I had a similar burn and draw…don't want to say "problem", let's say "anomoly" with the "O". I blamed either the weather or the obviously greater proportion of ligero in this blend over the other two. Very nicely done, I enjoyed your angle on this excersize. In the end, I think I preferred the "A" in general terms, although each could easily have a place in my rotation.